I don’t think I’ve ever read of Jesus running through the desert, saying, “Hurry up, John! Get moving, Peter! You disciples are so slow! We’ve got places to go, people to see!” Jesus certainly traveled throughout the land but he was intentional about when and where he was going. When Jesus got word that his friend, Lazarus, was sick, he didn’t rush to his bedside. He stayed in his present location for 2 more days. Sister Martha was not happy. Why did Jesus not rush to his friend? The Bible does not say but I like to think that Jesus was doing something important in his location. He was fully present there. Rush Slowly, these words on a sign hanging in a restaurant in the southern-most tip of the Caribbean island of St. Kitts, sum up the pace that Jesus seemed to keep in the scripture. He went where he was needed but he traveled at the pace that kept him fully present wherever he was. 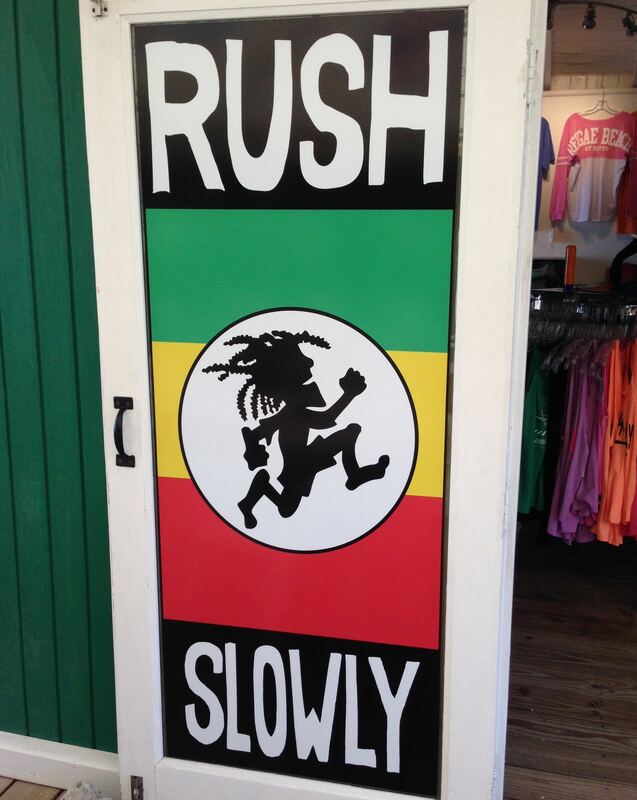 Maybe we could all ‘rush’ a little more slowly. How present are we with the people we encounter? With our families and friends? How present are we with the people at work or at school? Are we talking to someone, but in our mind, we’ve already moved on? What one action can you take to slow down and be fully present? Examples: Physically walk slower. Look at people when you are talking to them. *Prayer written by Norman Shawchuck, pages 342-343. A Guide to Prayer for All Who Seek God. Nashville: Upper Room Books, 2003.